Angers Saint-Laud railway station. Credit: SNCF. SNCF’s station team has said it has created a ‘sense of urban dynamism’ with the introduction of a ‘garden railway station’ in Angers. 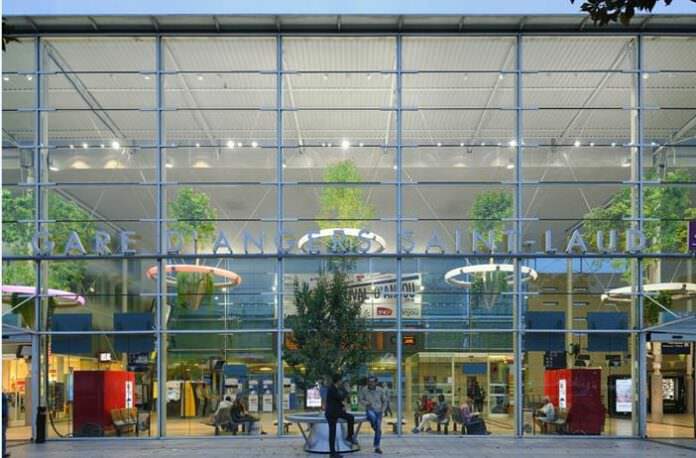 As well as adding trees into the station’s forecourt, SNCF Gares & Connexions has installed trees suspended five metres from the ceiling at Angers Saint-Laud railway station. Designer Alexis Tricoire has developed the challenging structure, which has luminous rings that generate three types of lighting to promote plant growth, as well as irrigation and misting systems. Angers Saint-Laud railway station has 15,000 passengers a day and is directly connected to Paris and Nantes.